Both polyurethane and acrylic urethane have similar benefits when applied in layers to wood. But there are differences between these protective finishes: Acrylic urethane is typically water-based, while traditional polyurethane is oil-based. The two differentiate by drying time, application amounts, cost and, depending on definition, durability. Both products are available in range of sheens, from gloss to satin. Acrylic finishes are typically made with resin and acrylic urethane and sometimes marketed as water-based urethane. Acrylic finishes may have differing levels of acrylic and urethane. Typically, the more urethane a finish has, the harder and more durable the finish is. The addition of urethane makes the resin more durable and more resistant to scratches. Acrylic is actually a version of polyurethane without oil. By eliminating oil from urethane, and using acrylic instead, finishes don't yellow as they age. Acrylic has a milky-white appearance but goes on clear and stays clear. Oil-based polyurethane is thicker and imparts a golden hue to wood as the oil cures. Oil also protects wood from heat and solvents. The absence of oil makes acrylic less resistant to solvents and heat. Traditional polyurethane is an amber-colored, plastic resin combined with drying oils and solvents. As the oil cures, it creates a finish that's more flexible than acrylic, to better withstand contractions and expansions of wood movement. 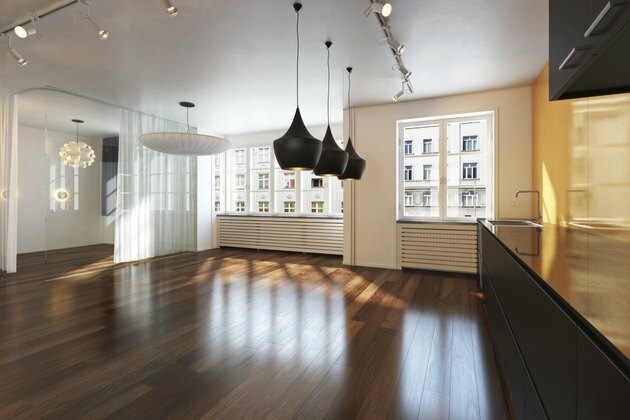 Polyurethane is typically applied to hardwood floors that receive a high amount of traffic. Acrylic mixtures are relatively new to the market, while polyurethane has been around for years. Acrylics are thinner than oil-based polyurethane, require three to four coats to build a protective layer and require one to two hours to dry between coats. Polyurethane requires only two to three coats to build a protective layer--although three coats are standard for hard-wearing floors--but the finish requires 12 to 24 hours to dry between each coat, and sanding is typically required between coats. Acrylics, even though more coats are needed, are faster to apply overall. Typical acrylic mixtures contain about 30 percent to 35 percent solids. Oil-based polyurethane contains about 45 percent to 50 percent solids. Solids create the tough protective finish, so you need to apply four coats of acrylic to get the same protection as two or three oil-based coats. 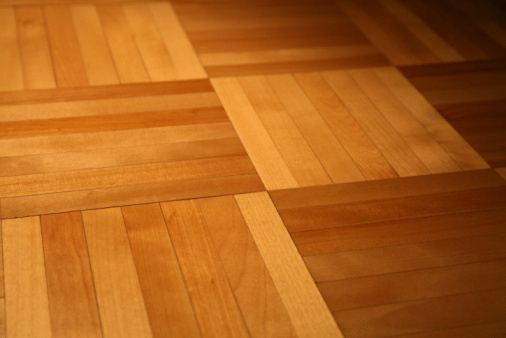 Coverage amounts are typically based on hardwood floor applications. A gallon of acrylic covers about 600 square feet and costs at least $40 at the time of publication. A gallon of oil-based polyurethane covers about 400 feet and will set you back $25. Volatile organic compounds can be at differing levels in acrylic or polyurethane finishes. Low-VOC formulas release less odor into the air while drying. Acrylic finishes contain lower amounts of VOCs than oil-based polyurethane. Finishes that contain lower VOC levels don't flow as easily and require more expertise to apply, but they are more environmentally friendly. Do your research if you're concerned about VOC levels in any finish. Are Polyurethane Clear Finishes for Exterior Use?